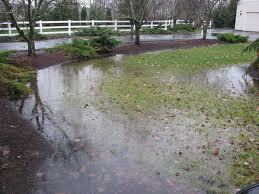 Don’t Get Flooded this Spring! With the record snows this winter there are going to be some serious water issues that will need to be resolved on many peoples properties. Call the office if you want your home to be dry this Spring and for seasons to come!